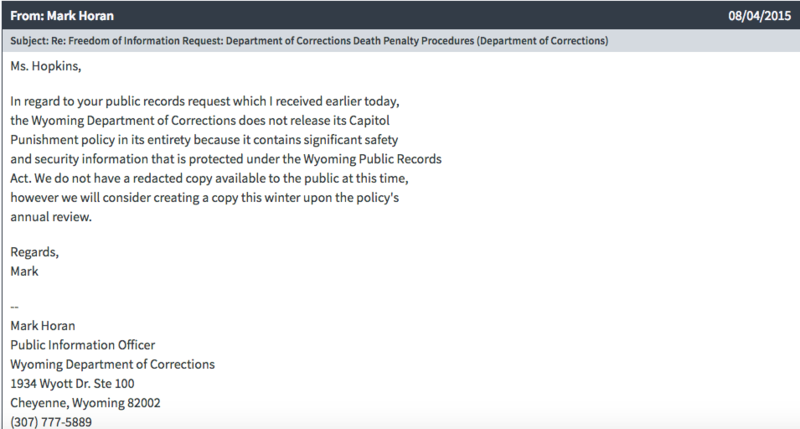 Adanya Lustig filed this request with the Department of Corrections of Wyoming. Policies, procedures and/or training documents pertaining to the execution of death row inmates. A colleague of mine requested these documents in 2015 and was told that a censored version of them may at some point become available (see attached). Records Act. A censored version is not available. Okay, thanks anyways! Have a nice weekend.